Immanuel sent a 10-member mission team to Guatemala during June 9-16. The team’s mission work impacted the villages of Laguna Seca, El Durazno, and El Salitre, as well as La Santa Cruz medical clinic at Lake Amatitlan, which are located several hours from Guatemala City. This was our fifth year working in Guatemala. The team shared and demonstrated the Gospel by visiting and praying with families; teaching Bible stories, English, music, and reading to about 220 children; and providing dental clinics in Laguna Seca and El Salitre (with three dentists and two dental hygienists) where 180 patients received over 400 procedures. Nutritious drinks were provided to the children’s ministry at La Santa Cruz. 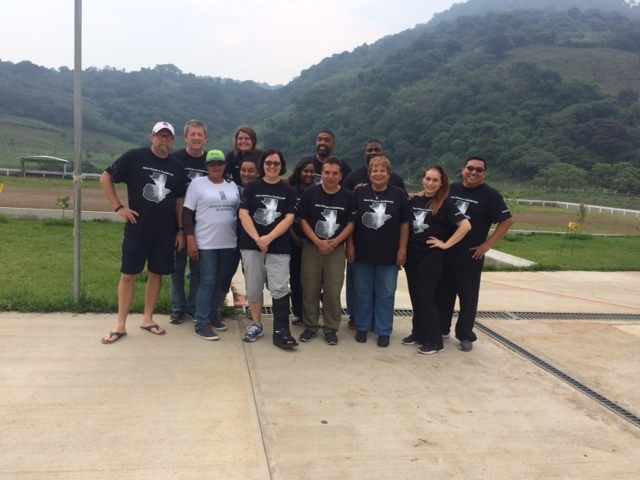 The team purchased 40 avocado and lime trees at a local nursery and planted them at family homes in El Durazno. The team obtained a list of items needed to help survivors of the recent Volcano Fuego disaster and while in Guatemala provided enough corn, beans, rice, flour, sugar, salt, milk, and cooking oil to feed 24 families for a week. We also visited and worked with several students (and their families) who are being provided educational scholarships through our Immanuel family. Team members included Catherine Buote, Kayla Davis, Dr. Joseph Dove, Stephanie Glanzer, Thomas Klingenberg, Dr. Julio Mazariegos, Ed Mell, Dr. Anthony Polk, Fhany Santos, and Meredith Stratmann. Stephanie and Meredith are in Guatemala during June 2-23. They are teaching ESL, reading, music (recorder), and Bible lessons to students in several village schools and are working with the children’s ministry at La Santa Cruz.